FC Barcelona took the high road to a first-place finish in regular season Group C by dominating Panathinaikos Athens on the road Friday for a 67-80 victory. After an hour-long delay at halftime, when the arena was evacuated for a security sweep following an alleged bomb threat, Panathinaikos erased most of 17-point deficit that Barcelona took into the break on the strength of a 11-0 first-quarter run. But Barcelona soon roared back to take control until the finish and raise its record to 9-1, the second-best mark of the regular season. Panathinaikos fell to 5-5 but was sure to be third, despite a tie with EA7 Emporio Armani Milan, due to a tiebreak advantage. Marcelinho Huertas orchestrated the victory with 17 points, 9 assists, while Deshaun Thomas added 15. Maciej Lampa added a double-double of 10 points and 10 rebounds, while Mario Hezonja scored 9 more. Barcelona's defense held Panathinaikos to just 23 points in the first half, and by the end the Greens had only two double-digit scorers, Antonis Fotsis with 14 points and Loukas Mavrokefalidis with 10. 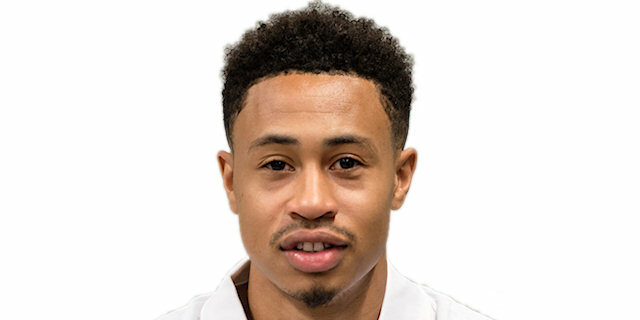 Panathinaikos played without team leader Dimitris Diamantidis, but saw point guard DeMarcus Nelson return from injury to play his first Euroleague game in green. Fotsis pulled 2 quick rebounds and threaded a pass to Batista for the game's first basket. 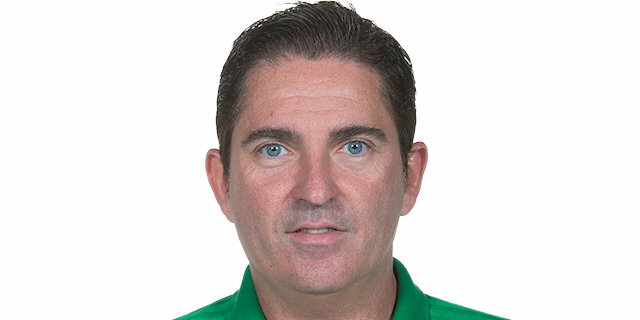 Huertas pulled up for Barcelona's first points, just as Pappas did at the other end to put Panathinaikos up 4-2. Hezonja finished a broken play with a fastbreak dunk that Giankovits answered with a runner on the shot clock buzzer. Huertas forged another tie, 6-6, with another shot from the lane. Huertas was in double-threat mode as he winged one pass to Doellman for an easy layup and another to Hezonja for a three-pointer and a sudden 6-11 Barcelona advantage. Doellman added free throws to the lead before Thomas made a one-handed fade-away hook and a put-back to make it a double-digit difference, 6-17. Pappas ended his team's drought at the free throw line, but immediately Thomas drilled a triple, the game's first, and then 1 of 2 free throws to make it 8-21. Mavrokefalidis climbed off the Panathinaikos bench in time to bank in the quarter's last shot, nonetheless Barcelona was in control, 10-21. Fotsis uncorked a corner triple to start the second-quarter scoring and Mavrokefalidis added a jumper as Panathinaikos quickly pulled within 15-21, forcing a Barcelona timeout. Huertas, left alone, nailed a three-pointer to end his team's dry run and waltzed for a layup to push the difference back to double-digits, 15-26. Janis Blums struck back on a fade-away triple, but Maciej Lampe put back consecutive offensive rebounds to keep Barcelona up 18-30. Lampe's third consecutive layup forced a Panathinaikos timeout, after which Pappas hit a pair of free throws. 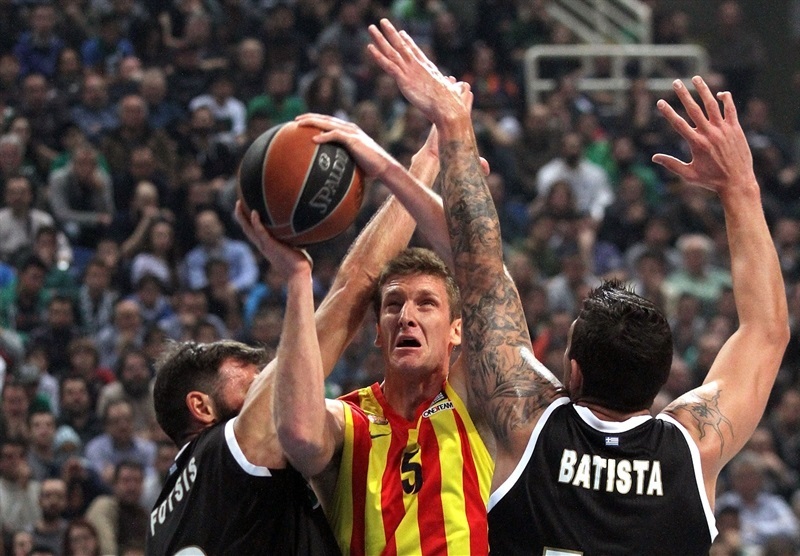 Bostjan Nachbar added his name to Barcelona's scoring list with a baseline turnaround. While Panathinaikos was limited to free throws for points, Tomas Satoransky raced for a dunk and Tomic found Huertas alone for a layup that made it 21-38. Gist got 2 points back at the line but Huertas matched those as Barcelona completed a formidable first half ahead 23-40. After a nearly one-hour delay due to the security sweep, A.J. Slaughter and Huertas came out scoring with 5 and 4 points, respectively, without a single miss. Giankovits added free throws to reduce the difference to 31-44. Tomic matched the free throws before Giankovits hooked in a shot from the post at 33-35. Henzonja broke loose for a dunk, but Fotsis answered with his own and then buried a triple to trim the gap to single digits, 38-47. Tomic answered with a dunk fed to him by Huertas, and after a timeout, Thomas saved a broken play with a jumper at 38-51. Gist hit a nice finger roll, and then Nelson drove for his first 2 points of the season. When Barcelona left Gist wide open for a triple, he swished it and suddenly the Greens were as close as 47-53, forcing a Barcelona timeout. Thomas steadied the visitors with a jumper before Navarro got his first point at the foul line. Doellman scored a third-change basket inside and Lampe detonated a dunk as Barcelona pulled away again to a double-digit lead, 47-60, after 30 minutes. 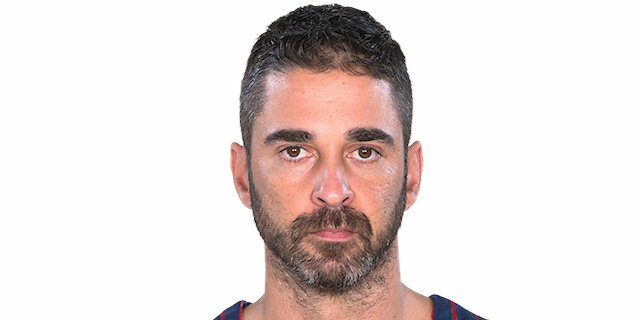 Satoransky opened the fourth quarter by adding a three-pointer to Barcelona's lead, after which the visitors were content to trade baskets and then some. Hezonja made a reverse alley-oop look easy at 51-69. 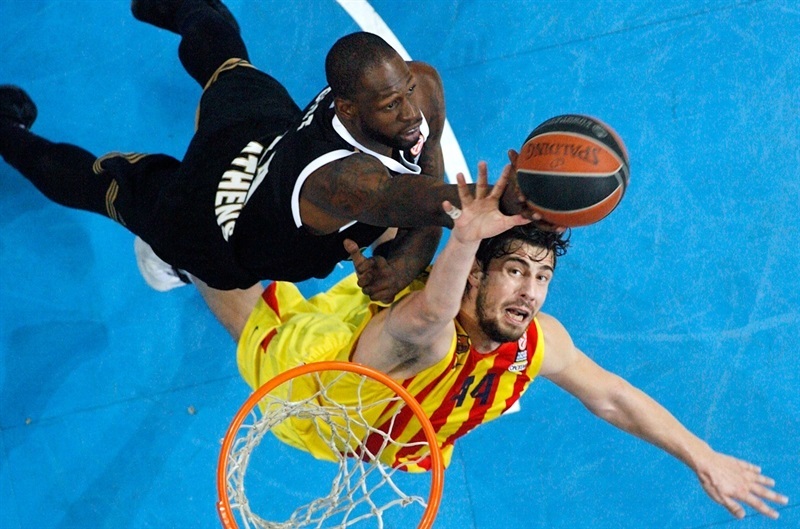 Despite a couple baskets by Mavrokefalidis, Nachbar and Tibor Pleiss returned to keep the Barcelona score ticking. 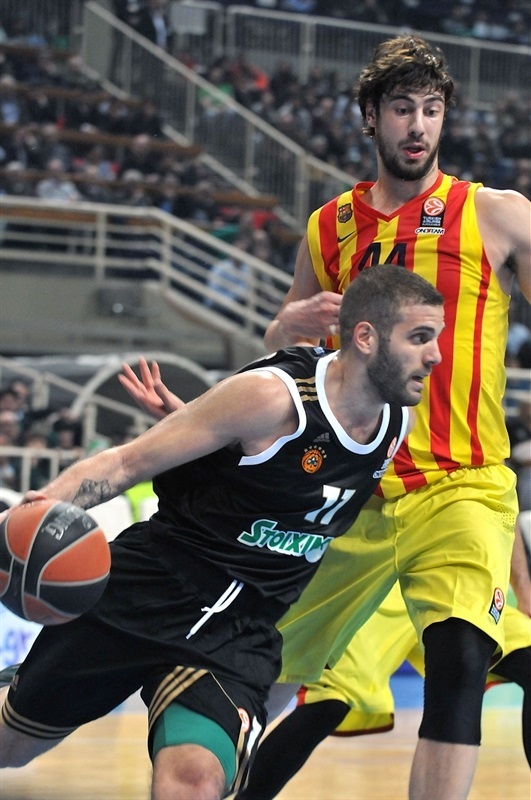 Pappas, Vasilis Charalampopoulous and Giankovits worked to keep the difference from getting too big, but Panathinaikos was unable to threaten the lead the rest of the way as Barcelona finished off a stellar regular season in style. "It was not our night. With the exception of the third quarter, we didn’t play the way I was expecting. In the first half, everything went wrong, especially under the boards, as Barcelona grabbed many offensive rebounds. 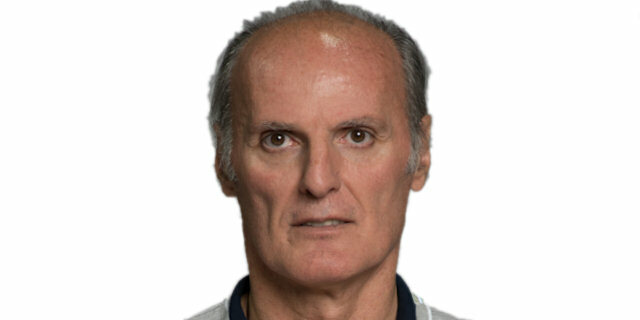 Barcelona is one of the best Euroleague teams, with excellent players who know by memory how to play. If you allow them to play easy, it's suicide. We will meet them again in the Top 16 and we'll see what is going to happen. Tonight we had DeMarcus Nelson for the very first time on the court and this is one of the positive things. He will find his rhythm as the time goes by and he will help us a lot." "We are happy with this win in a game which I think we dominated from the beginning until the end. It was hard for us to bounce back in the third quarter after the game was stopped for 45 minutes. After that, we managed to find our way. We did not have good minutes after the break but that could be considered normal. We are happy for the run we had in the regular season, finishing with good vibes. Our Top 16 group will be very tough because a lot of teams will play without much pressure. Those teams can do really well because they are really talented. The biggest teams will have a lot of pressure but most of the teams have the goal to make it to the playoffs. It will be a really tough group with a lot of talent and tradition." "We came out slow in the first half and Barcelona got a big lead, but we didn't surrender. Panathinaikos played much better in the third quarter, but it was not enough to win. With Diamantidis and Nelson on the court we will have a very good and competitive team in the Top 16." "We had an excellent regular season and now we will start from scratch again. It is a tough group. Even when the game had no impact in the standings, we managed to win. It was an odd game - I have played a lot of games but have never been through anything like this. We are happy because the team was focused and just had a few bad minutes in the third quarter. I am happy to be back on court. I don't feel 100% and it is always difficult to play the first game after an injury, you are always more nervous."